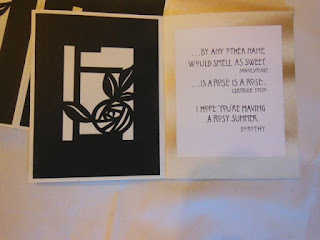 prompt - use decorative edge scissors + 4 lines of chosen leterform and smaller tool. 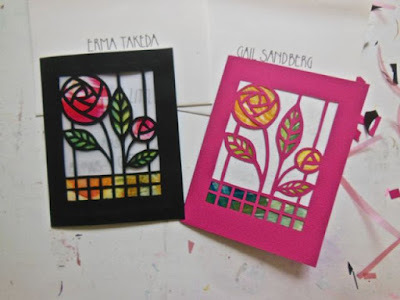 The rose colored area is cut with exacto, white cherry blossoms cut and inserted, all mounted onto stamp edge scissors cut green paper and this all mounted on cardstock. 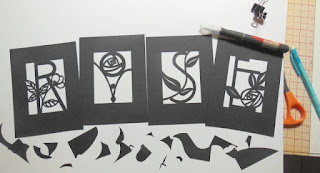 prompt - use exacto blade..used vellum behind cutout..appears like a cut glass window when opened, may be able to see message under. 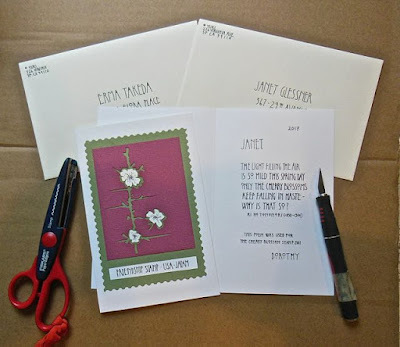 prompt - use small scissors and keep practicing. 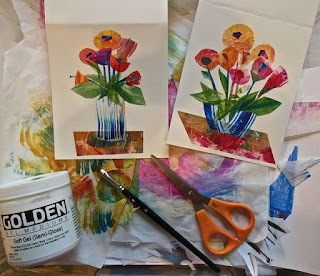 I used painted tissues from another art piece, from a workshop with Este Macloed, and cut out forms and glued down...could not duplicate, so two are different. 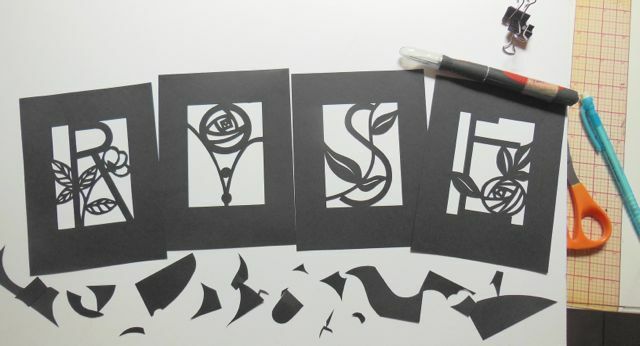 Wasn't smart enough to cut out two papers at a time. 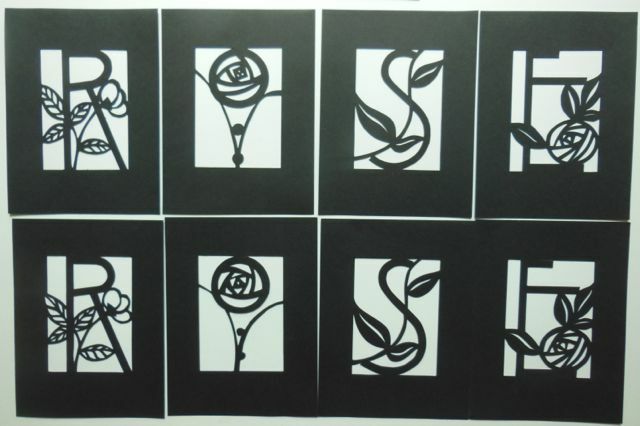 As you see, each one is a little different because they were individually cut. This was the last page close up of the two quotes and my message. 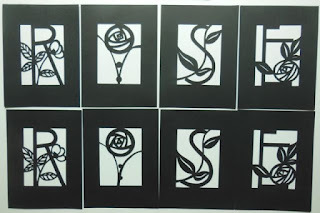 last prompt - your choice of cutting tool - I made an accordian card with each a silhouette cutout to spell A ROSE and wrote two quotes.